Expedia has some top notch Pyeongchang travel packages Bundling your bookings is one of the easiest ways to save cash and time — and get your adventure off on the right foot. Smart travellers who secure a package deal on Expedia can save up to 59%*. You won't need to look around a bunch of different websites for your travel needs. With more than 400 partner airlines and 321,000 properties around the world, our comprehensive database has it all. Don't worry about changing your travel plans, as we don't charge additional cancellation fees for almost all of our hotel bookings. Can't wait for your trip to Pyeongchang? Want some info about what to do and see when you're there? That's where we come in! What's your ideal getaway? Whether it's shopping malls or historic architecture, mind-blowing activities or scenic vistas, Expedia is here to help you craft your dream travel plan. Expedia presently has no property listings for Pyeongchang. However, you'll discover a few places to stay just 13 miles (21 km) away in Dunnae. 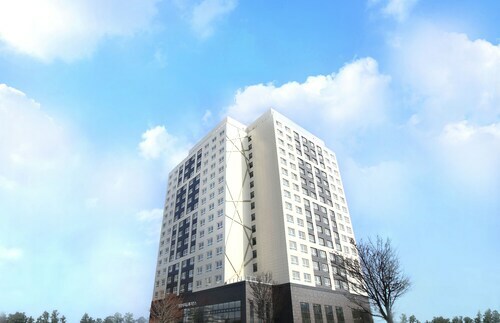 The nicest options in Dunnae are the Orient Hotel & Resort, Elf Spa Resort Hotel, Phoenix Pyeongchang Hotel, Phoenix Pyeongchang Condominium, White Cabin, Elf Guesthouse, Coop Sweet House, Mayfair Pension and Welli Hilli Park. Nothing comes close to touching down at Wonju Airport (WJU) after a long flight. Once you've claimed your suitcases from the carousel and had a nice big stretch, you'll be just 25 miles (40 km) of Pyeongchang's bustling main streets. Stay overnight and participate in the activities of this historic temple, trek up the mountain and admire the elegant nine-story pagoda. Ski and snowboard in winter and wander through a giant garden of wild flowers in summer at this resort in the Pyeongchang region of South Korea. Conveniently located near the ski slopes, this Pyeongchang resort is within 9 mi (15 km) of Odaesan National Park, Daegwallyeong Skyranch and Daegwallyeong Samyang Ranch. Woljeongsa Fir Forest is 11.6 mi (18.7 km) away. 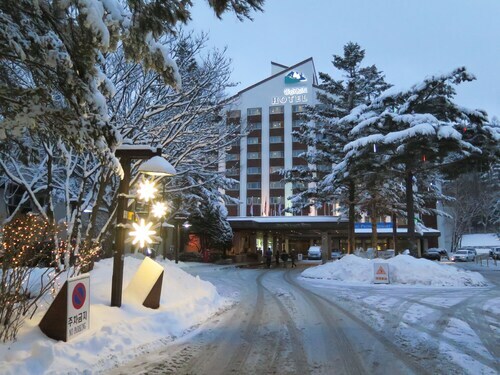 Conveniently located near the ski slopes, this Pyeongchang hotel is 0.2 mi (0.3 km) from Odaesan National Park and within 12 mi (20 km) of Woljeongsa Fir Forest and Daegwallyeong Skyranch. Herbnara Farm is 22.1 mi (35.5 km) away. 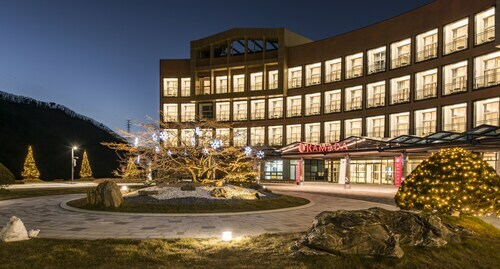 Located near the slopes, this Pyeongchang hotel is in the mountains and within 9 mi (15 km) of Odaesan National Park, Daegwallyeong Skyranch and Daegwallyeong Samyang Ranch. Woljeongsa Fir Forest is 11.7 mi (18.9 km) away. Situated in Pyeongchang, this hotel is 12.2 mi (19.7 km) from Barong Valley and within 25 miles (40 km) of Herbnara Farm and Odaesan National Park. Woljeongsa Fir Forest and Daegwallyeong Skyranch are also within 32 miles (52 km). Situated in Pyeongchang, this golf hotel is close to Daegwallyeong Donkey Ranch Don Quixote, Alpensia Ski Resort and Yongpyong Ski Resort. Local attractions also include Alpensia Ski Jumping Stadium and Ocean 700. 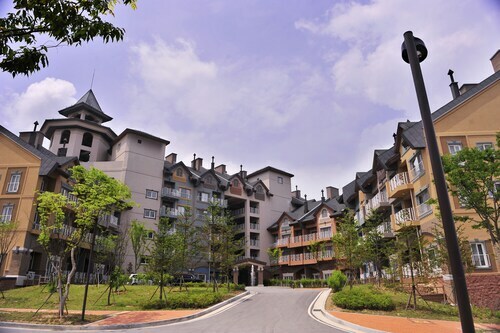 Located near to the slopes, this Pyeongchang resort is situated in the mountains, 0.1 mi (0.1 km) from Yongpyong Ski Resort and is convenient for winter sports, such as snowshoeing and snowmobiling. Daegwallyeong Skyranch and Daegwallyeong Samyang Ranch are also within 9 miles (15 km). 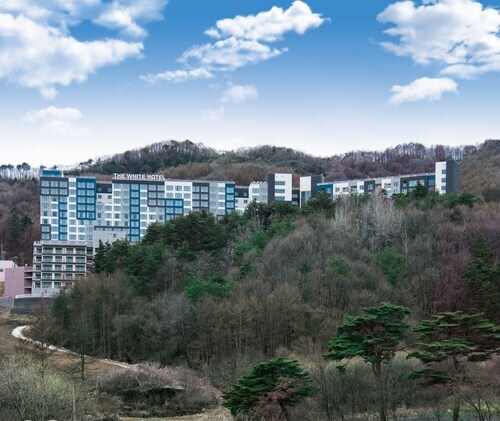 Within minutes of the slopes, this Pyeongchang hotel is in the mountains and provides easy access to Alpensia Ski Resort, Alpensia Ski Jumping Stadium and Ocean 700. Also nearby are Yongpyong Ski Resort and Yongpyeong Water Park. Situated in the mountains, this hotel is 0.1 mi (0.1 km) from Yongpyong Ski Resort and 1.7 mi (2.7 km) from Daegwallyeong Donkey Ranch Don Quixote. Alpensia Ski Resort and Alpensia Ski Jumping Stadium are also within 6 miles (10 km).